These happy sardines just want to have fun! 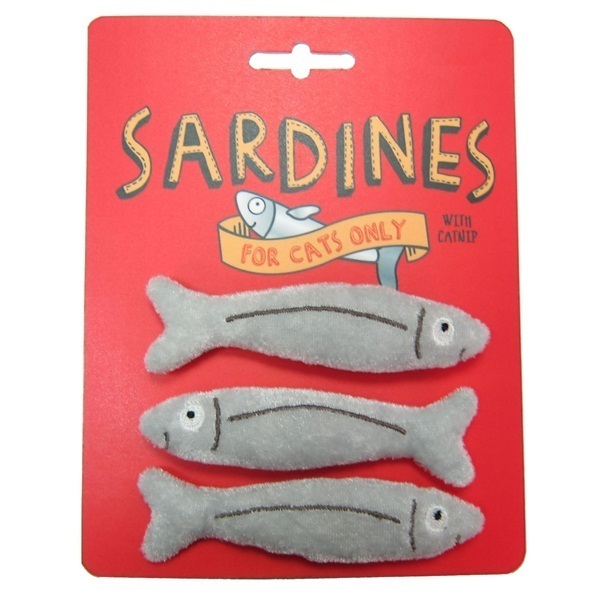 Made from a soft and plush material on the outside, they contain tempting catnip inside and come in a pack of 3, which of course means three times the amount of playtime for your kitties! They're an ideal size for both adult cats or kittens to play with.